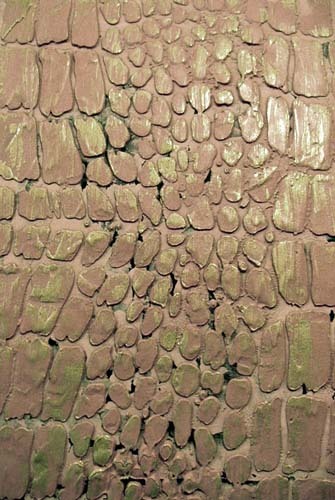 Imagine the texture of crocodile skin, with it's rough beauty on the fronts of your cabinets, an old chest, covering the walls and then glazed with a rich brown or gray. How high end is that? 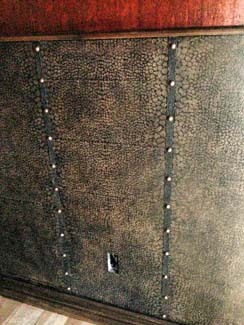 This intensely detailed stencil was fashioned after real crocodile skin so that you can replicate that look easily by simply covering the openings with joint compound and then repeating the stencil as necessary. 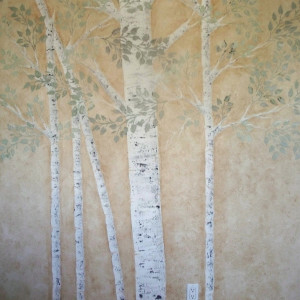 To save scads of time, simply add wall paint colors directly to the joint compound to give you the base color, then add a little darker color to translucent wall glaze and wipe over the surface. As you wipe off the excess, the deeper glaze will rest in between all those wonderful “scales” giving you the most awesome look! You’re going to love it! I know, I know, it seems more expensive than many of our other designs, but that laser has to work really hard to cut this design and it seems to take forever! Ah, but it’s soooo worth it! 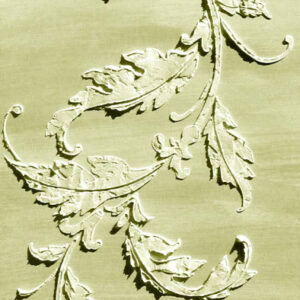 And trust me, it’s durable and long lasting! Use it over and over again. 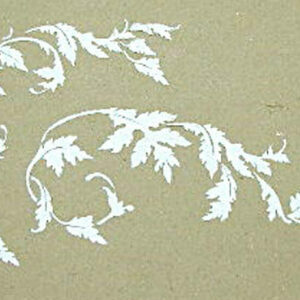 Remember that all of our plaster stencils can be used as painting stencils as well! 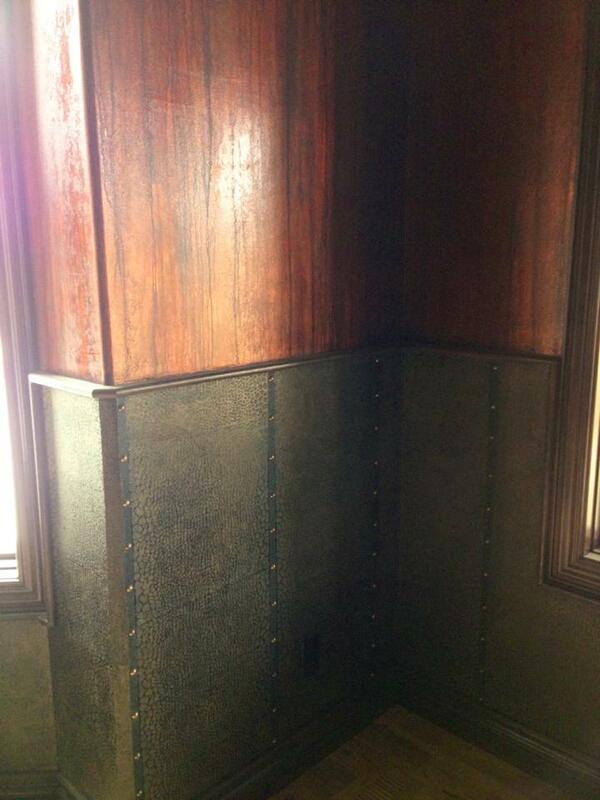 Reptile skin stencils are wonderful when you want to create a high end look on walls and furniture as Deb Oneil Johnson did with these cabinets for one of her clients. 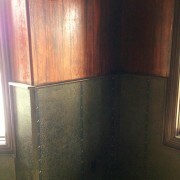 To make the job easier, pre-tint the joint compound to the color you wish the scales to be and then do a darker color wash glaze over the top to bring out even more detail. 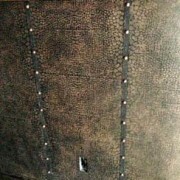 It looks like REAL crocodile skin! 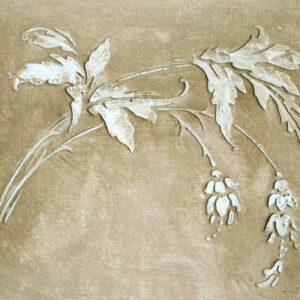 One of my favorite Faux Finish Artists, Deb Oneil Johnson used this stencil on a clients walls. It turned out beautifully!